Spray on Battery Cleaner with Acid detector and Neutralizer. 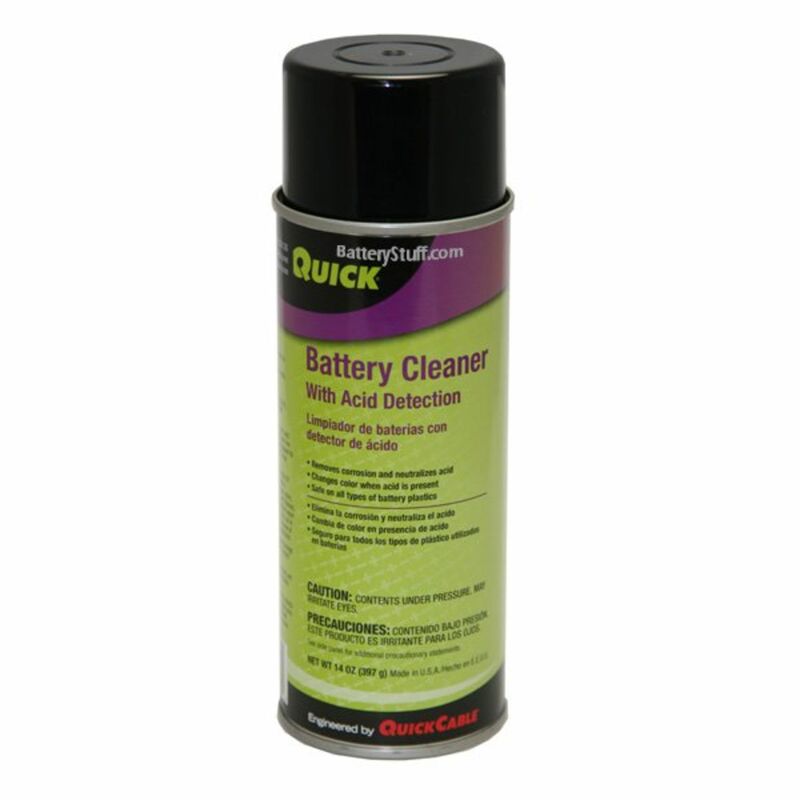 Use to clean batteries of built up grime and corrosion. Product turns red when it comes in contact with acid. 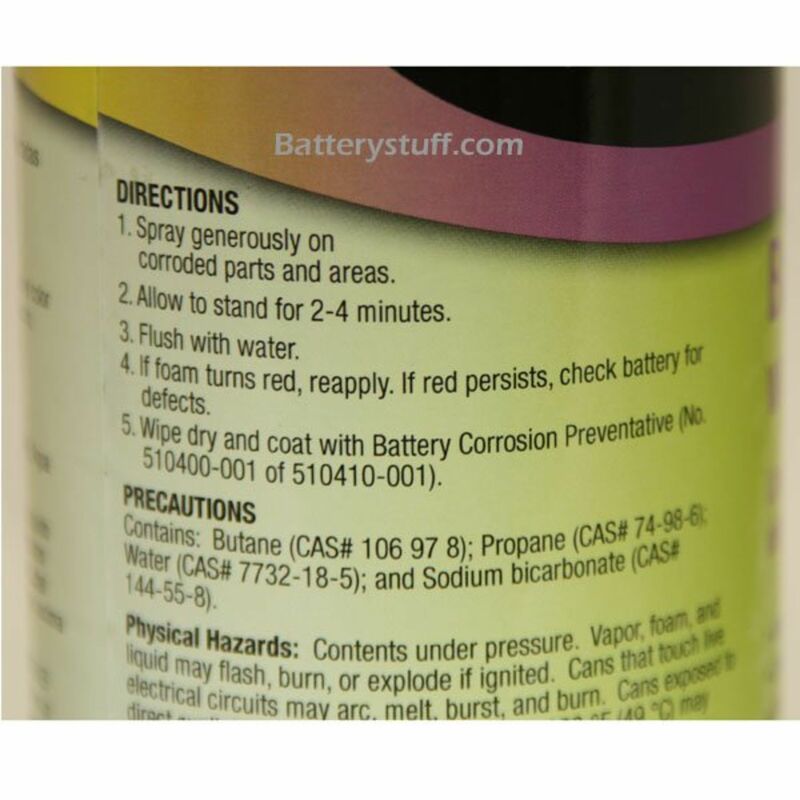 This allows you to determine if there is any acid on the outside of your battery. This can help indicate if you have a battery that is being overcharged, or if your battery has a cracked case. It also neutralizes the acid that it comes in contact with in order to render it harmless. Do you own the BC13oz? Please, tell us what you think about it. It helps us provide you with better products. Please note that it may take up to 72 hours for your review to appear.